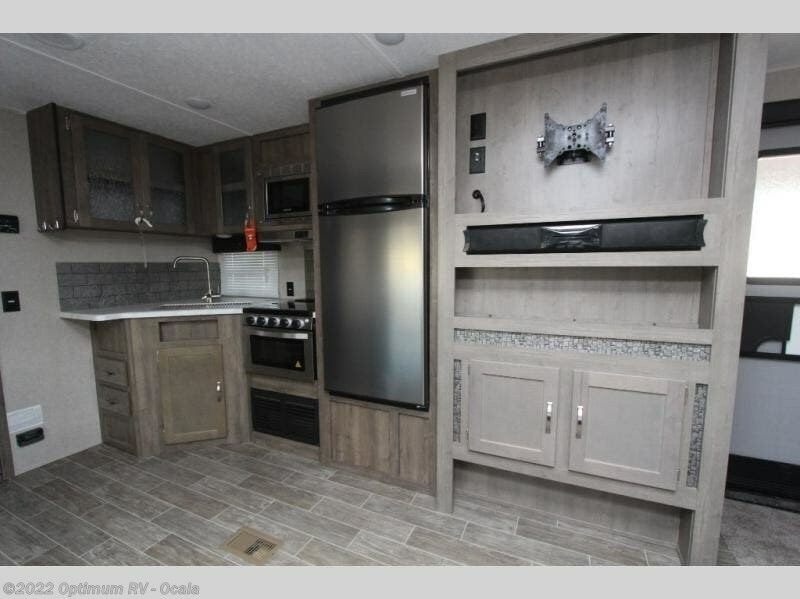 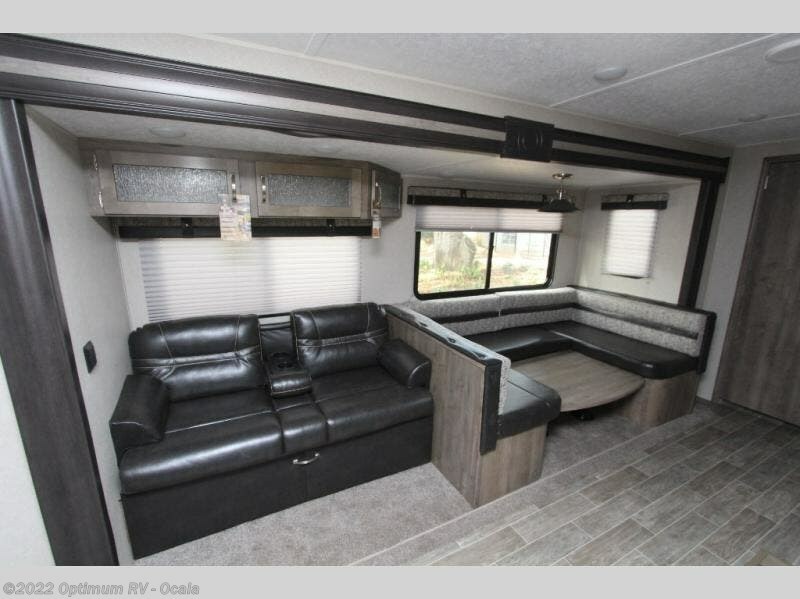 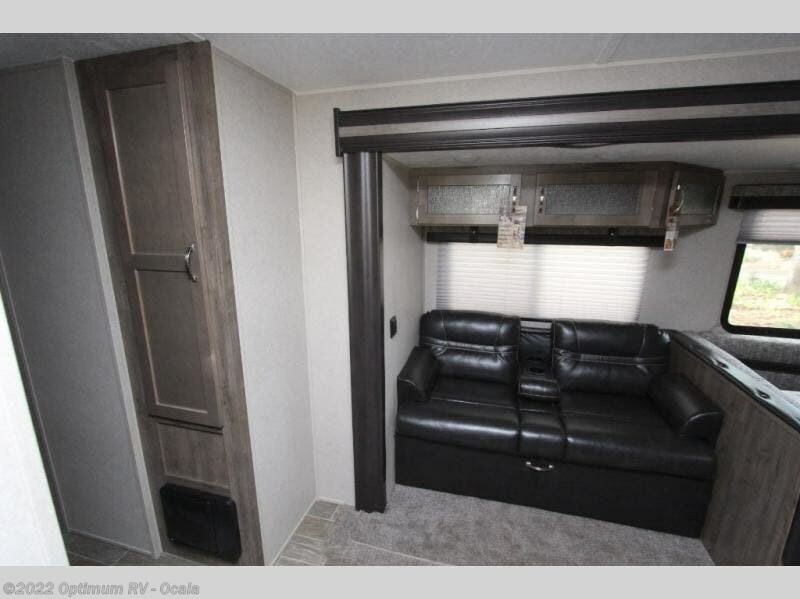 Don't miss out on this decked out Palomino Puma 31QBBH travel trailer! 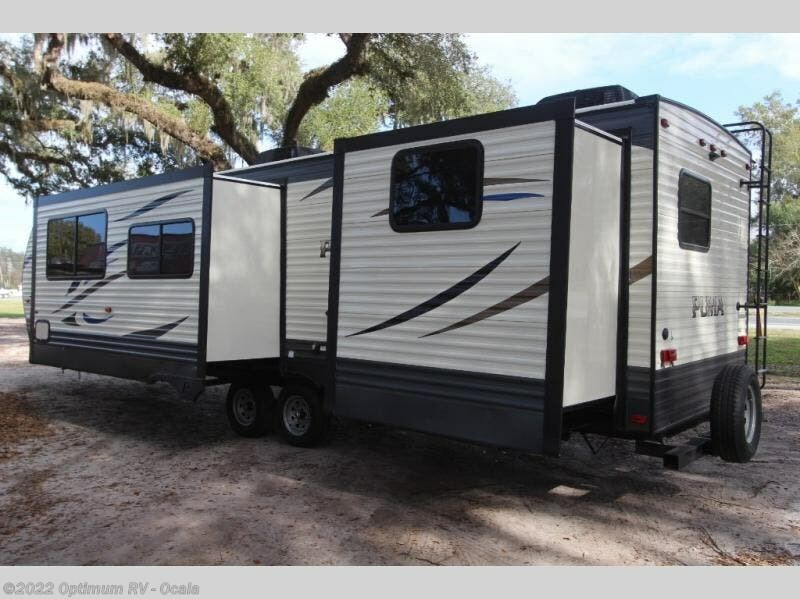 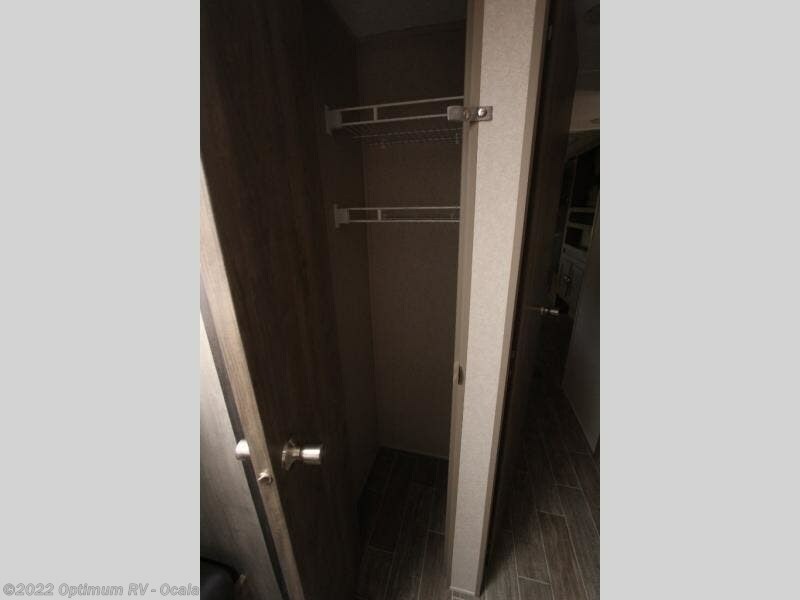 It features double entry entry doors to promote a smooth flow of traffic in and out of the unit, plus a rear bunkhouse that your kiddos are sure to love. 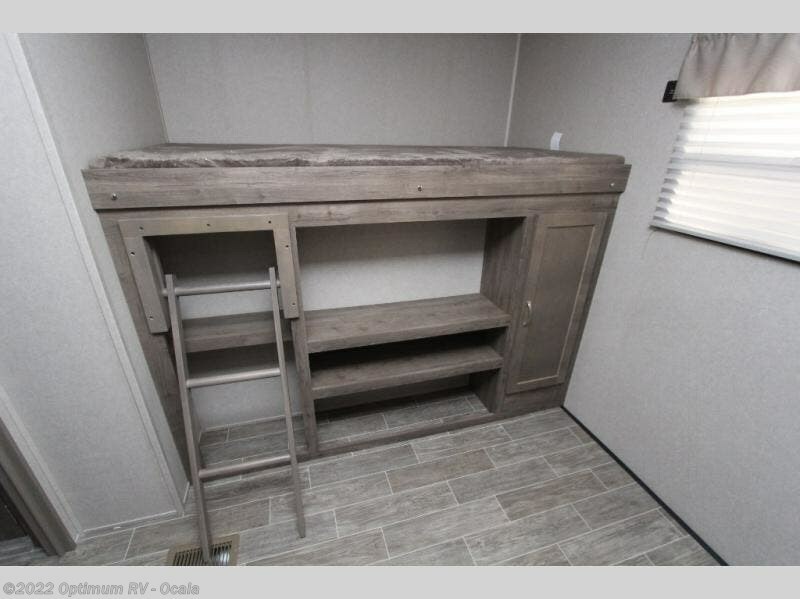 Inside the bunkhouse there are a set of bunk beds, a sofa with a bunk above, and even their very own entertainment center. 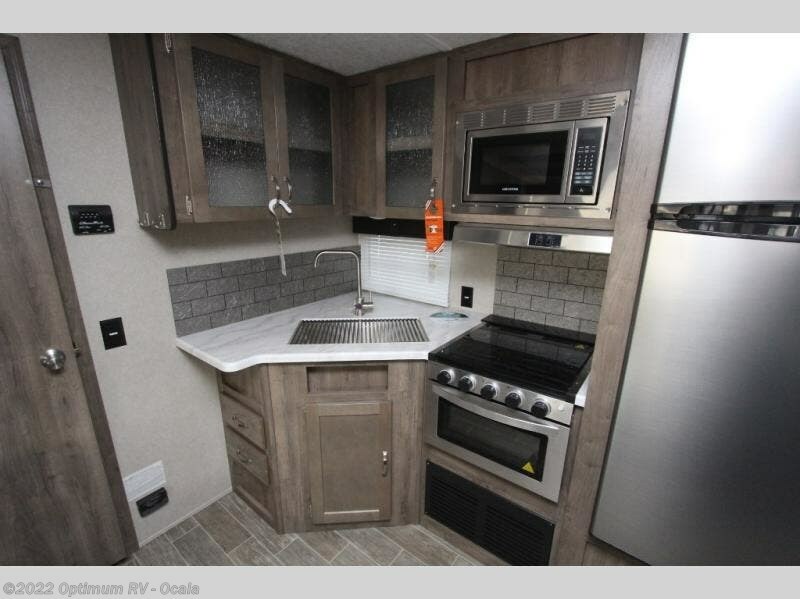 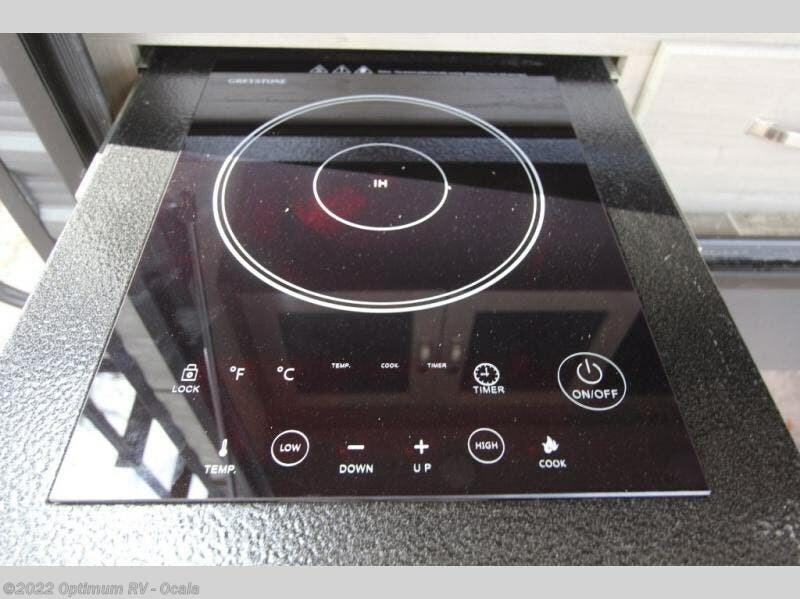 Meal prep will be a breeze in this kitchen with the 6 cu. 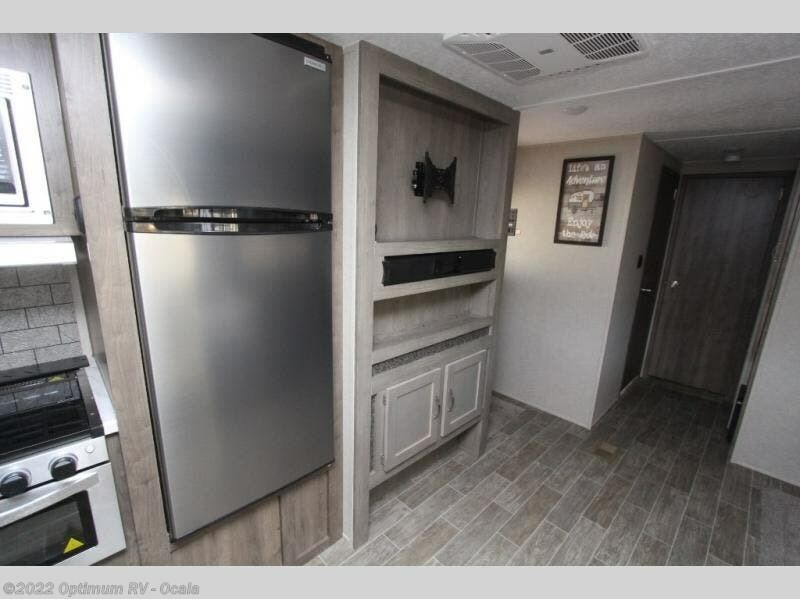 ft. double door refrigerator, three burner cooktop, the microwave, and the stainless steel sink, plus a closet/pantry for you to keep all of your goodies. 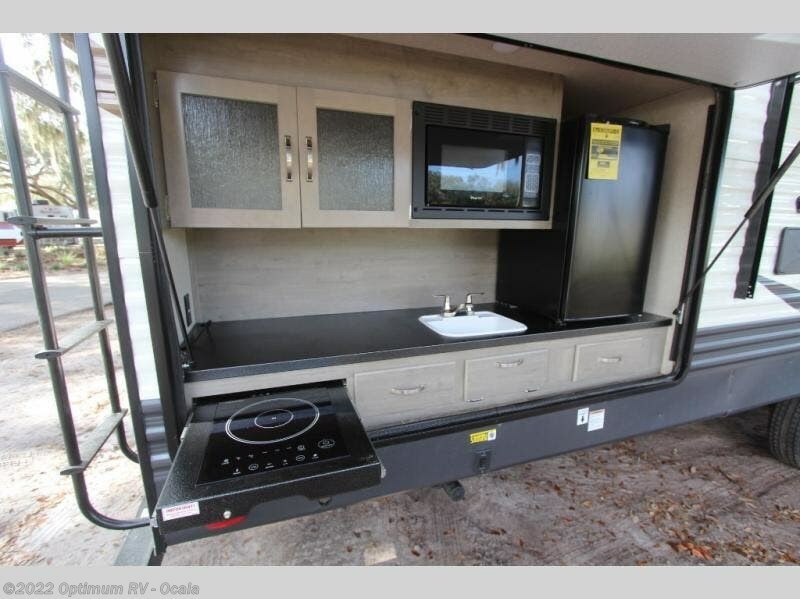 After you have whipped up your best meal, you can enjoy it at the u-shaped dinette as well as transform it into an extra sleeping space at night! 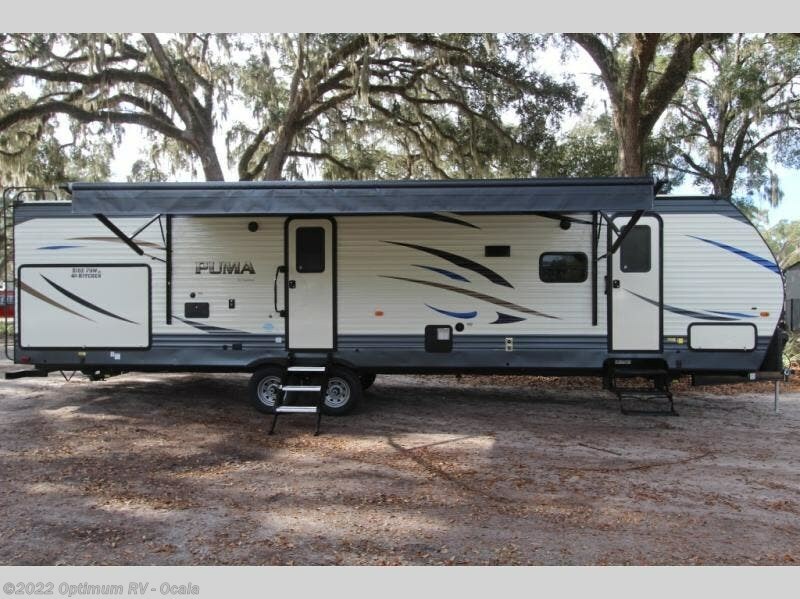 If you love an adventure, and enjoy the outdoors, the rugged built Palomino Puma travel trailers are a great choice for making your next adventure fun and trouble free! 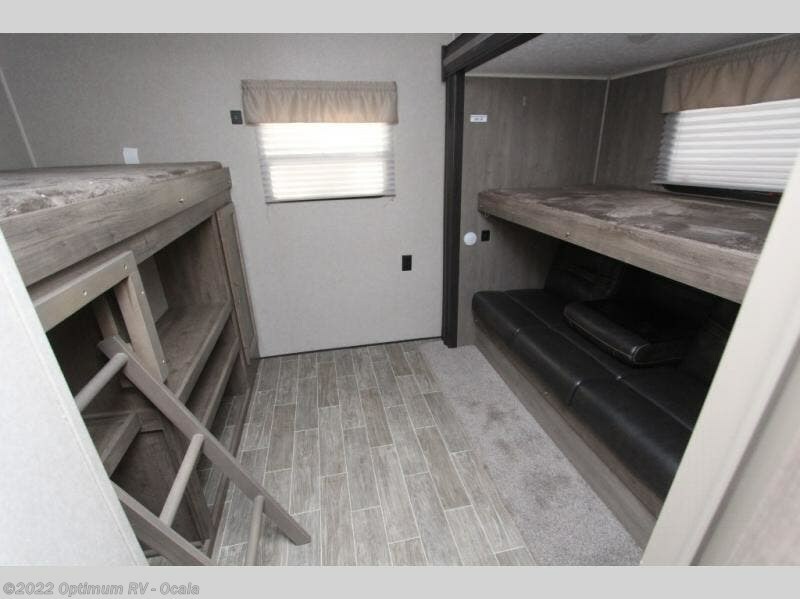 Puma is offered in a large variety of sizes and floorplan layouts with plenty of bunk models for the kids. 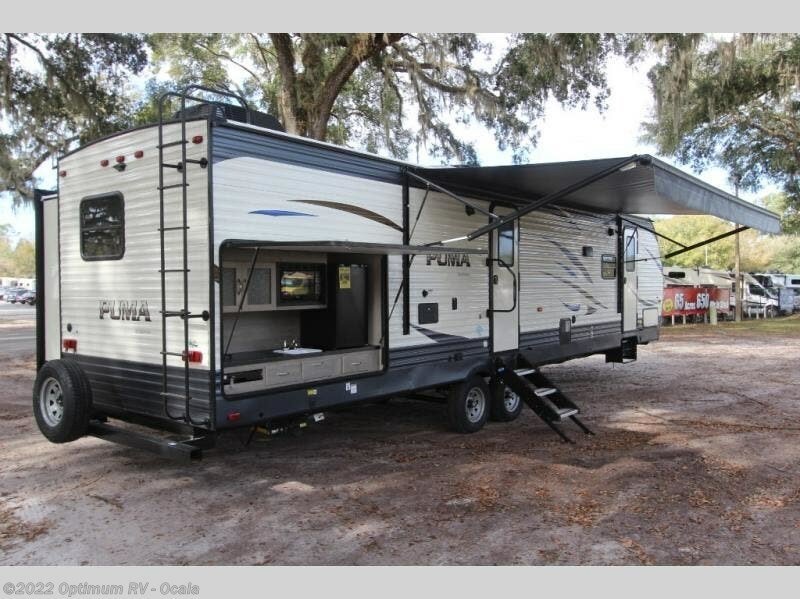 Many are also 1/2 ton towable so you can easily hook-up and head out for a great time away from home. 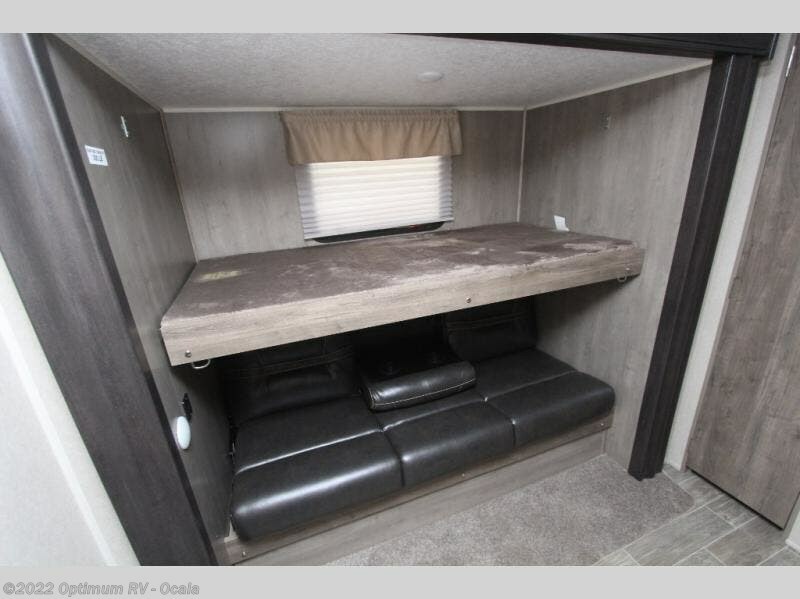 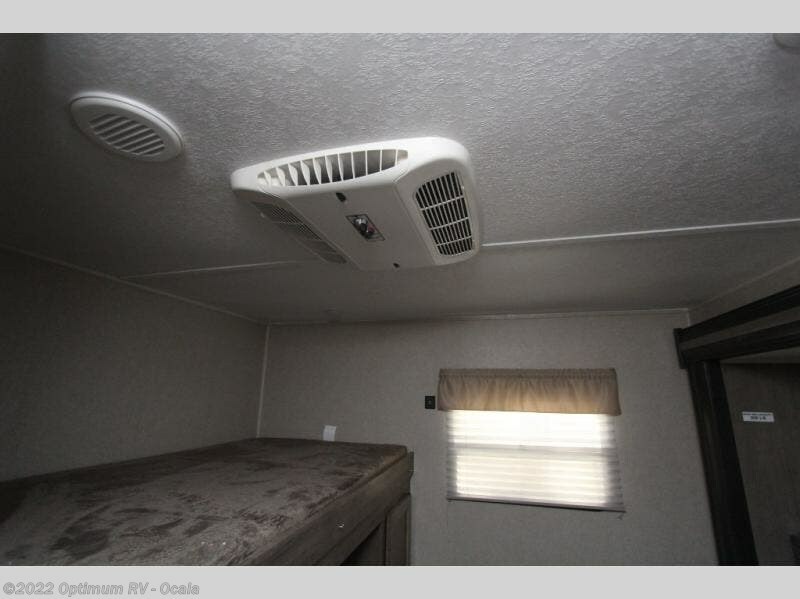 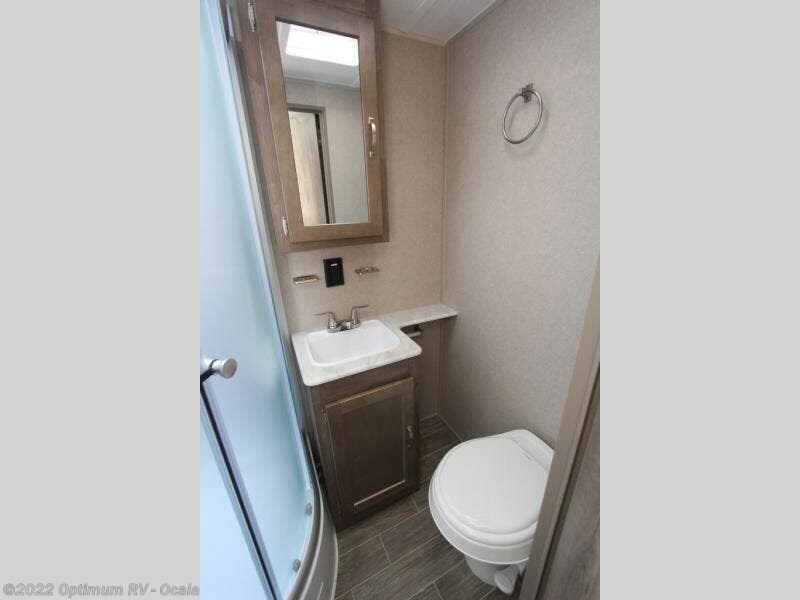 The Puma travel trailer offers an Evergreen high density foam mattress, carefree Beauflor linoleum flooring, LED lighting, and they are pre-wired for a solar system just in case you wish to go off-grid for a time. 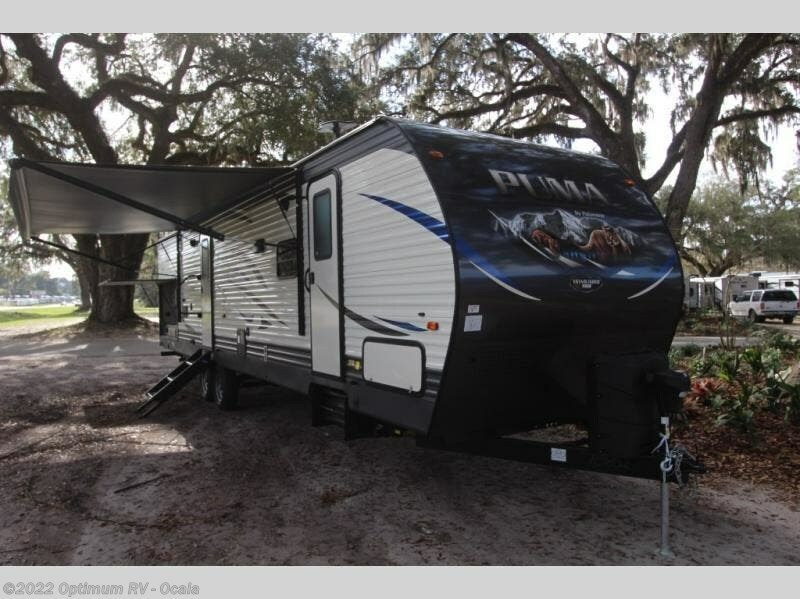 And, the Puma EPDM rubber roof is backed by a 12-year manufacturer warranty! 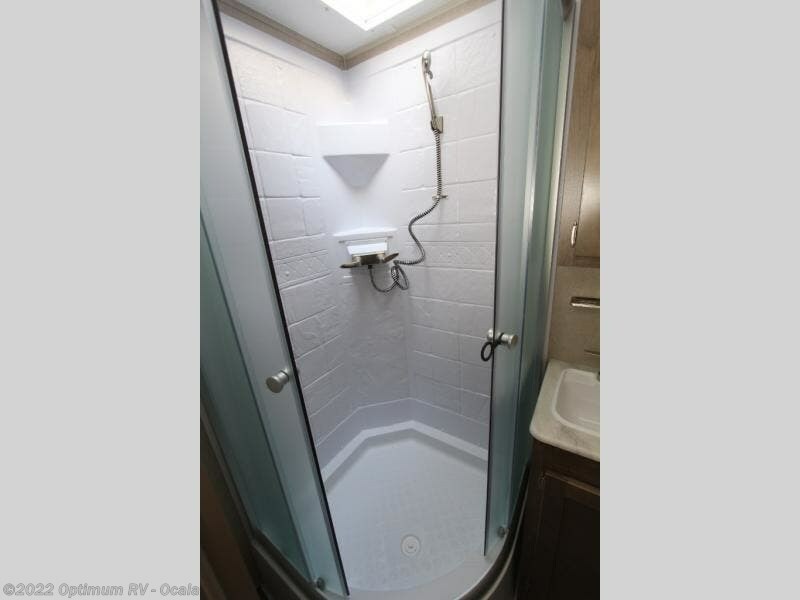 Now how's that for peace of mind! 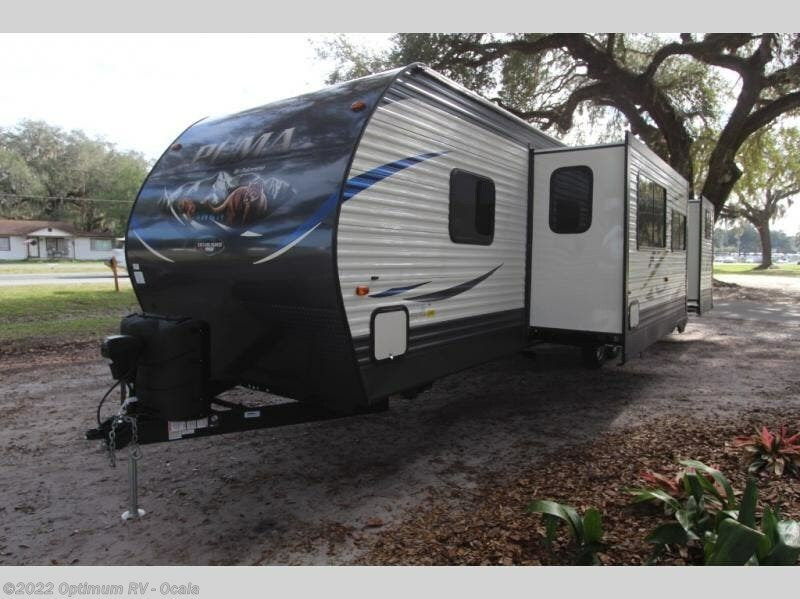 Come make your choice today and begin enjoying the change of scenery as you pick your next place to spend adventuring! 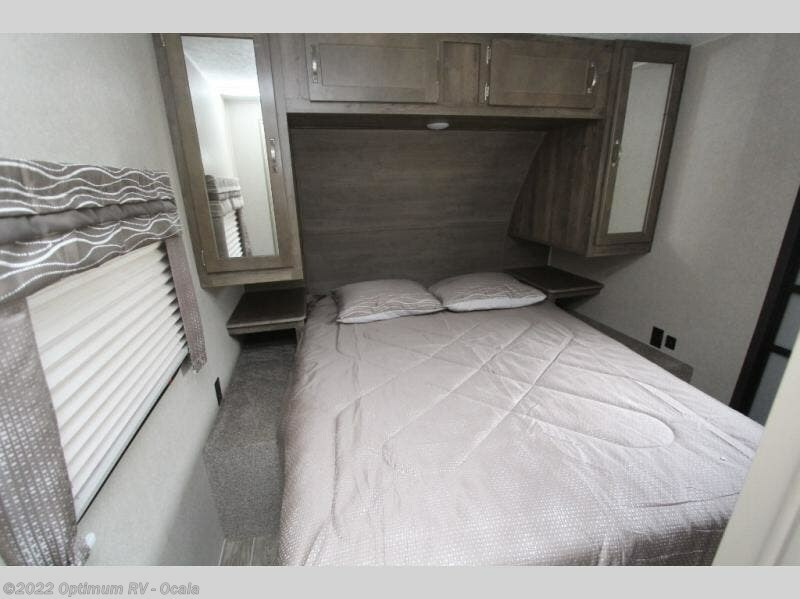 Check out Stock # 8PR682 - 2019 Palomino Puma 31QBBH on palominorvsource.com!